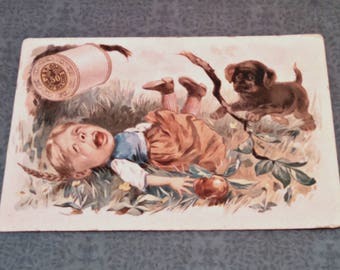 DESCRIPTION: This card was produced by Drs Starkey and Palen of Philadelphia, PA to advertise Compound Oxygen. 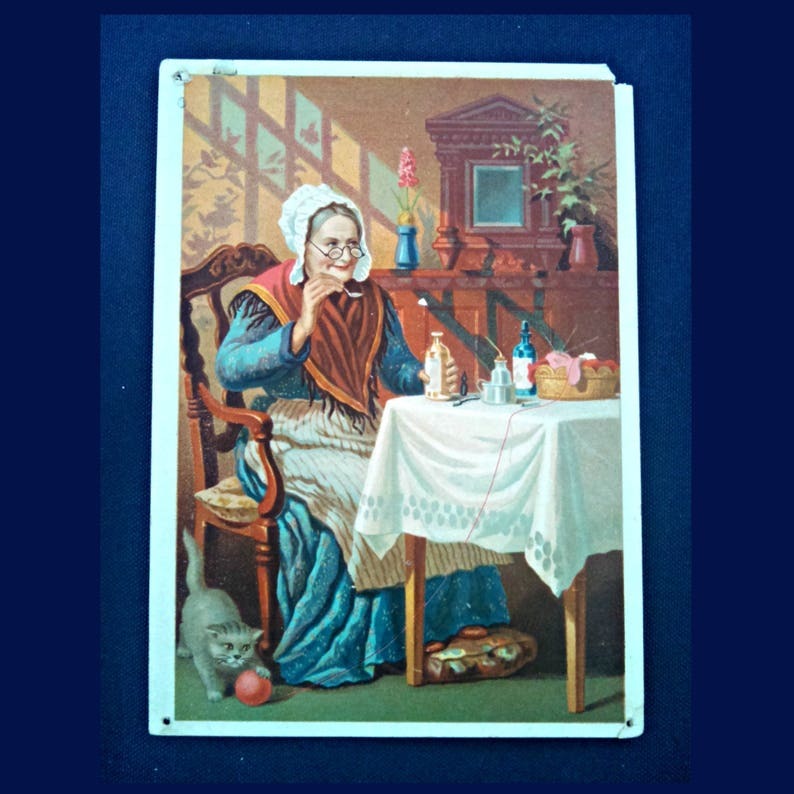 The front is a lithograph print of a colonial woman sitting at a table, taking a spoon of medicine. The back has an explanation of the product with a testimonial from 1886 and the doctors' names and address, printed in black ink. CONDITION: The card is in very good condition except for push pin holes in the top and bottom left corners and minor tears on the top and bottom right corners. There's also a slight spot on the white trim of the top left corner. 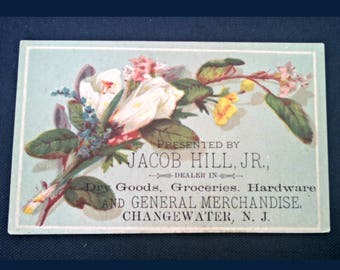 The card has been fairly well preserved over the past 120+ years.